Gnome more mister nice guy! 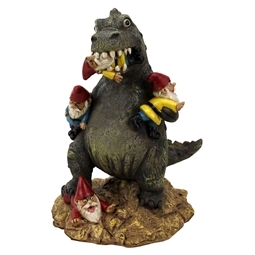 Want an exciting alternative to the stale, friendly-looking garden gnomes that litter your gran's garden? 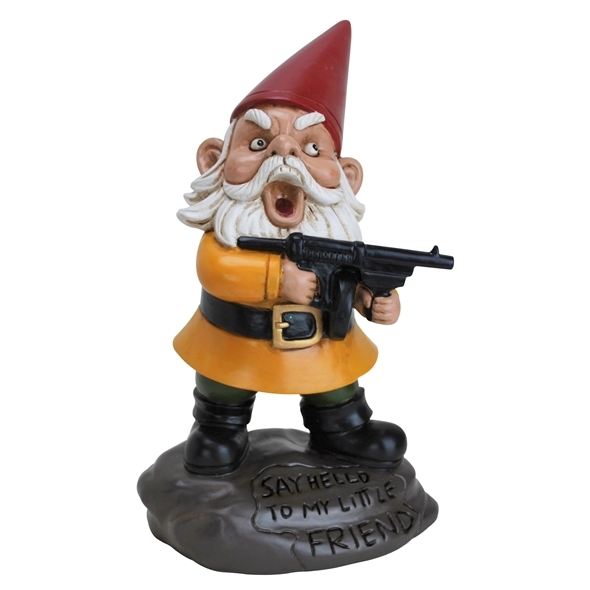 Those fellas won't stand a chance when faced with this awesome Angry Gnome figurine! 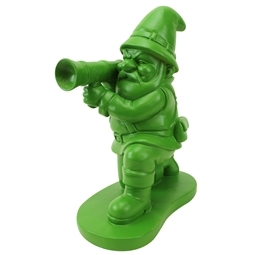 The Angry Gnome would make a great addition to any garden, front or back - the fierce wee man might even help to keep unwanted intruders off your immaculate lawn! "Say hello to my little friend!" 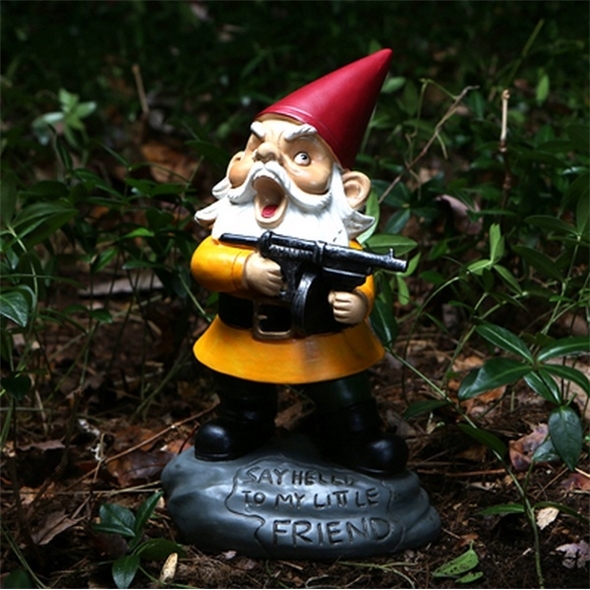 If regular garden gnomes aren't quite aggressive enough for your tastes, you'll love this gun-toting alternative. The Angry Gnome looks very fierce indeed, and his very presence will instantly let guests know how much cooler you are than most gardeners! It's like having tiny Tony Montana for your lawn!